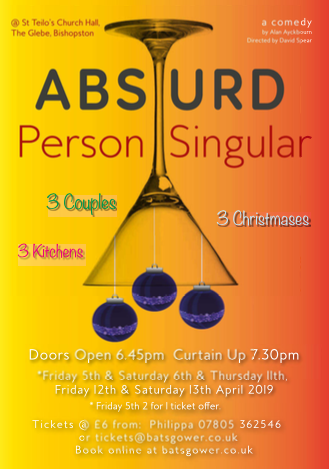 The BATS Spring production was ‘Absurd Person Singular’ a comedy by Alan Ayckbourn and directed by David Spear. 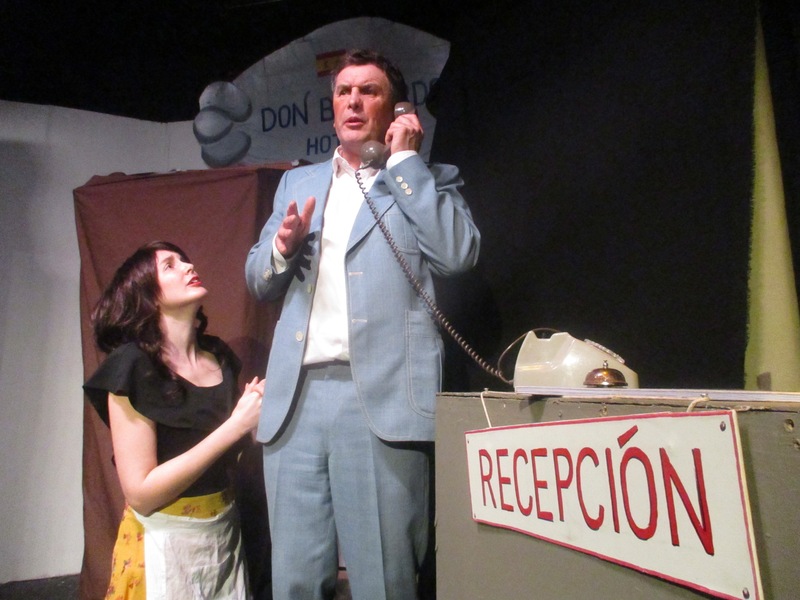 The five evening performances were a great success. The hard work of all members of the BATS team; actors, props departments, make-up, lighting, marketing team and the front of house team made every night an entertaining evening. 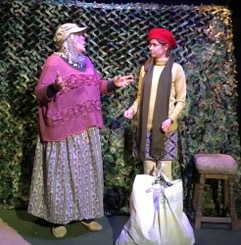 Lots of laughter from a very appreciative audience and many remarks on the tremendous performance of the talented cast. Click her for the show program. 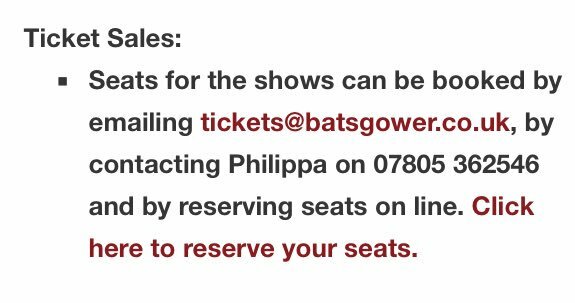 Just a reminder, if you’re looking to join a local theatre group, BATS are always looking for new, enthusiastic members and back-stage crew. Please do contact us. 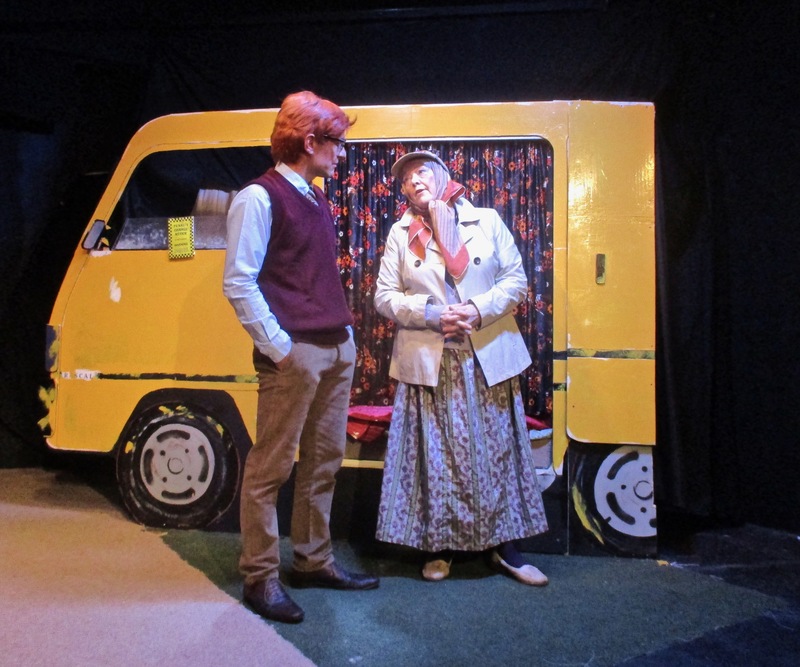 The BATS Autumn production was ‘The Lady in the Van’, written by Alan Bennett and directed by Sian Cole. The rehearsals are going really well and the whole cast are just brilliant! There have been frantic back stage preparations for lighting, sound, props and costumes, and, as always, everyone has worked hard to make this another extraordinary production.The two Alans’ in their matching costumes are just mesmerizing; Miss Shepherd in her old, soiled cloths provides an amazing surly performance; with the rest of the cast adding their own distinctive character to make this a memorable show. 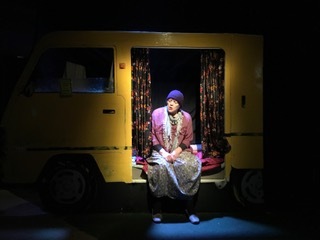 For the director, actors, technicians and the support staff, the first night of any show can produce some nervous moments…will I remember my lines, when do I come on stage, I must remember my stage props, etc. However, the first night of this production was just amazing. 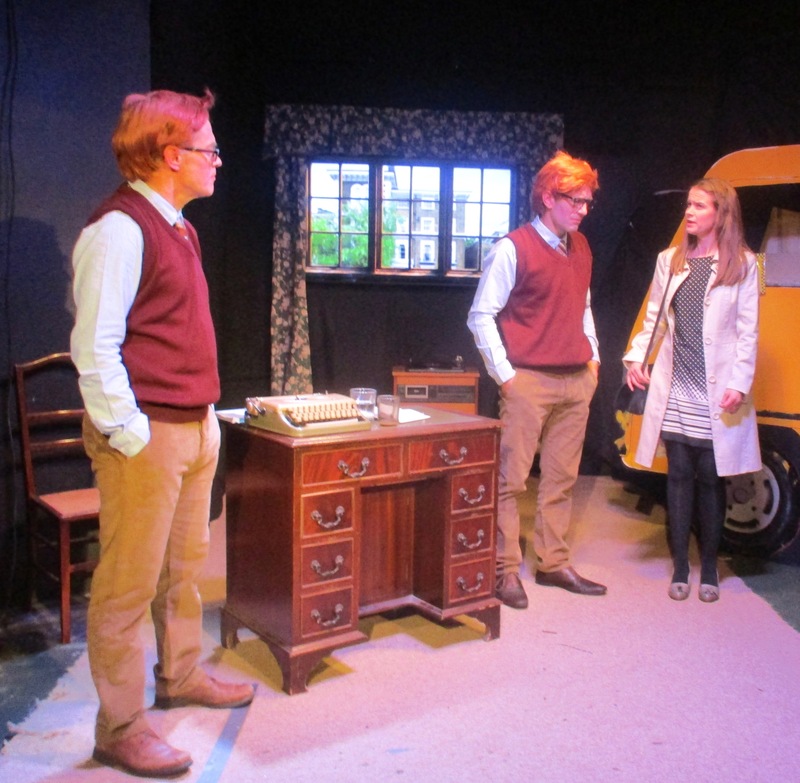 The two Alans and Miss Shepard delivered brilliant performances. I did notice that several members of the audience provided a standing ovation at the end. Congratulations to everyone at BATS for a wonderful show. Thank you to all our sponsors. To have a look at the show programme, click here. 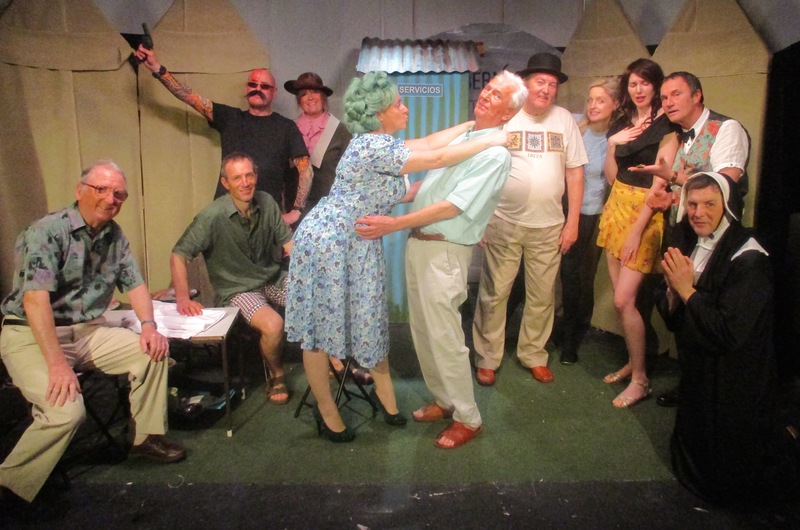 In July the members of BATS were asked to put on two Murder Mystery evenings, in aid of two charities, the Macmillan Cancer Support and Pennard Carnival. 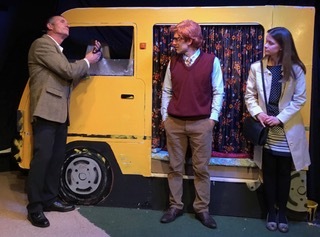 The evening shows at Langland Bay Golf Club and Pennard Parish Hall were a new venture for BATS and a fantastic success. The highly engaging plot kept the audiences guessing at every twist and turn. Who was the murderer, what was the motive and how was the killing carried out? Teams within the audience had to write down their answers to solve the murder. With the assistance of a fantastic cast, a team from the audience was awarded the winning prize. The two performances raised £1,600 between them for their causes, so we can feel it was a job well done. 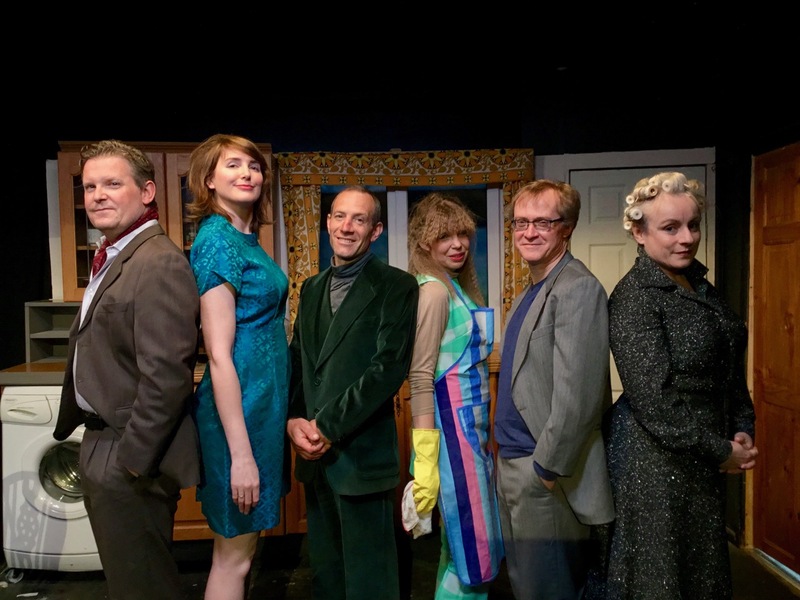 Congratulations to our wonderful audiences and a murderous cast. 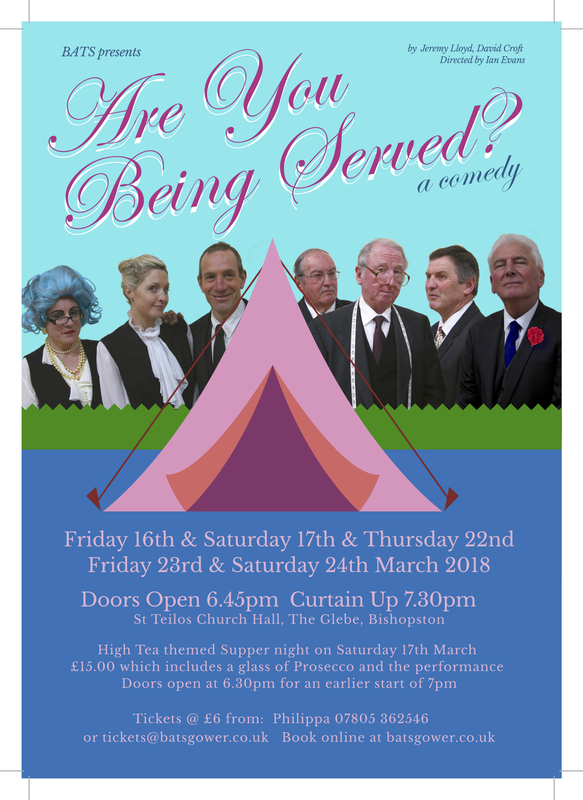 Our March 2018 production was ‘Are you being Served’ by Jeremy Lloyd and David Croft and directed by Ian Evans. 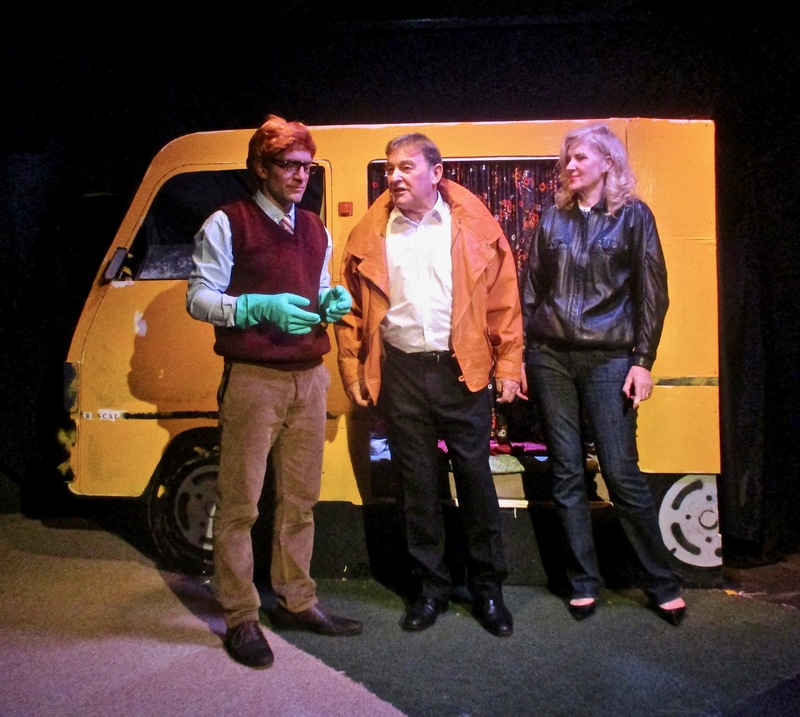 Plenty of laughs from the audience and the cast took place during this hilarious stage version. The BATS cast were the motley crew of the Grace Brothers department store. The store are preparing for a sale of German goods and then they decide to depart for a staff holiday in Spain. Their holiday encounters involved everything from a Spanish crumpet, to randy revolutionaries with everything intact, but their modesty. 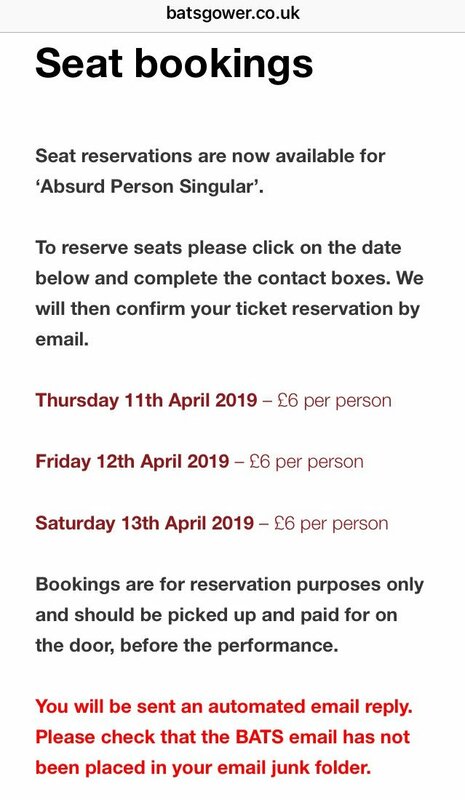 Lovers of innuendo and British humour really enjoyed this hilarious play, with non-stop double entendres. true spirit theatre is alive & well, credit to all your team. The performance on Thursday was absolutely brilliant and haven’t laughed so much in a long time! This is just to let you know that we thoroughly enjoyed this play. We were appreciative of all the hard work that had gone into this production. Well done to you all. Looking forward to the next one. 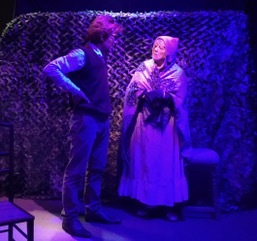 BATS provides assistance to a Derbyshire amateur production. I have been in touch with David since my visit and he tells me another local group who saw their production were impressed and have contacted him as they want to talk to him about how he did the set! Alan Bailey. 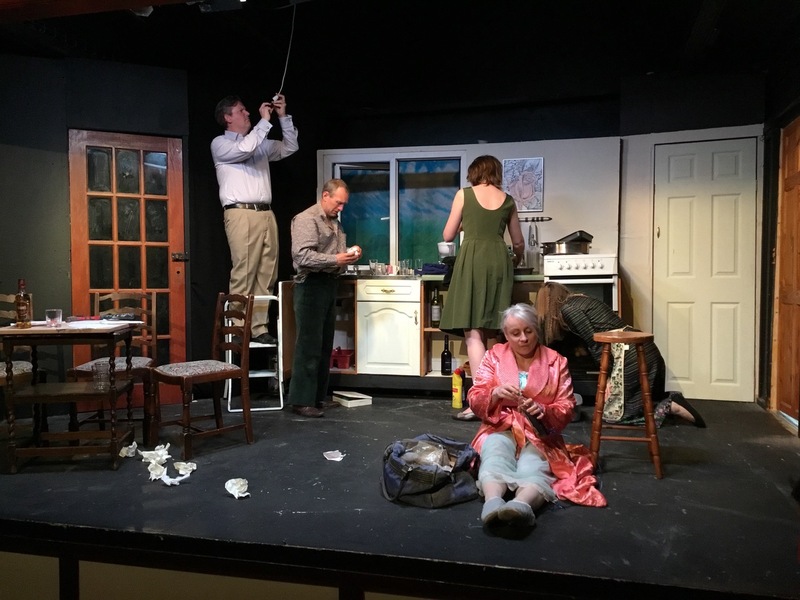 The Bishopston Amateur Theatrical Society, or BATS, is an all-amateur group, open to anyone to join, whether to act, direct, work backstage or front-of-house. There is a committee which presently consists of six people: the Chair, Vice-Chair, Treasurer, Secretary (who is also responsible for marketing), Social Secretary and Stage Manager. The Committee has overall responsibility for agreeing policies and parameters. 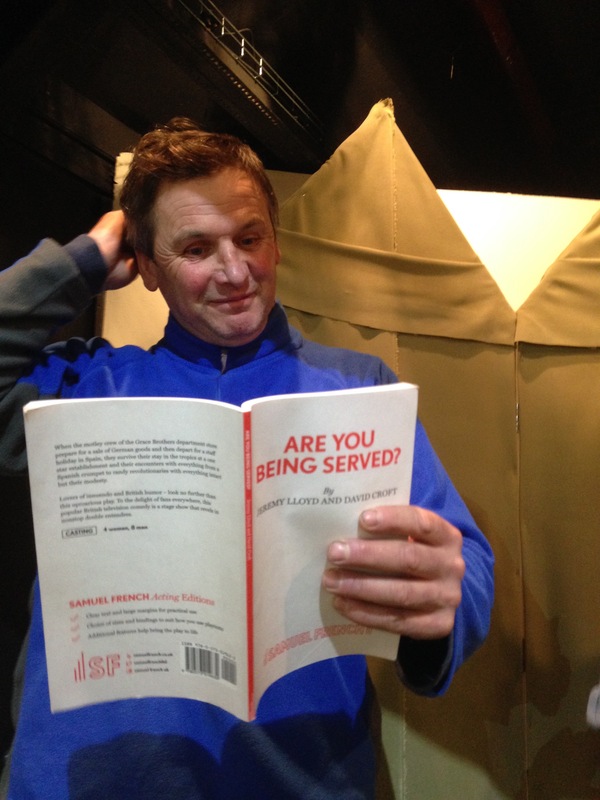 The director has operational responsibility for delivering a play, and as such is responsible for choosing the play, cast, producer, stage manager, backstage team and front of house team. 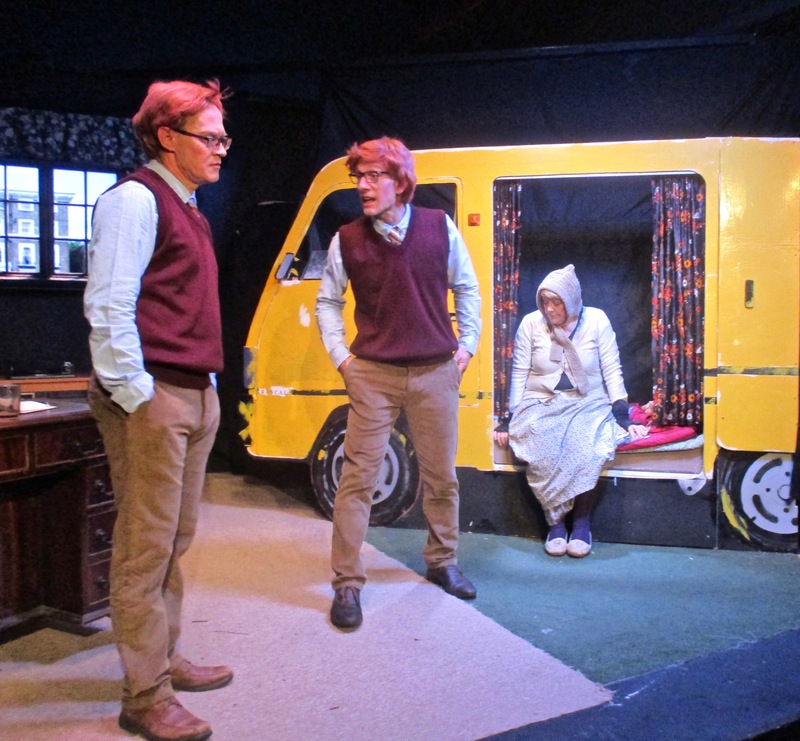 Ever since its formation in 1967, BATS (STADS till 1999) has been providing the Gower village of Bishopston and the surrounding area with regular live theatrical entertainment. 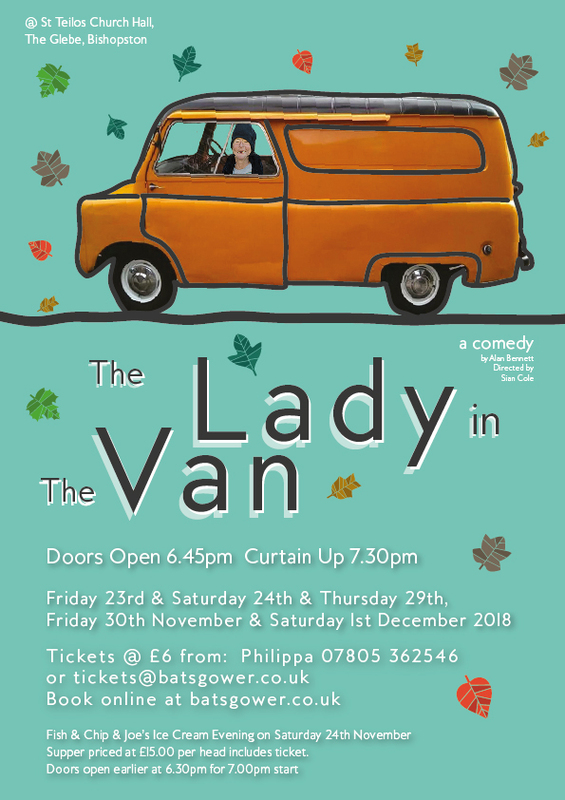 To inspire local people to get involved with the group: we’re always looking for new actors and people to help with costumes, make-up, props, ticket sales, refreshments, ideas and so on — no experience necessary! 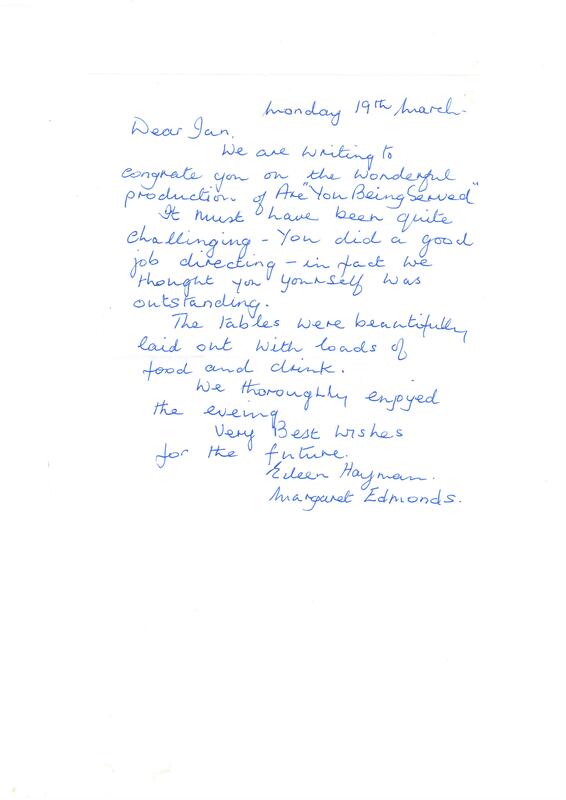 In fact, our continuing success depends on you — so have a good look round the site and then please get in touch.